Beachfront Towers is only a 30 metre walk to the beautiful patrolled Maroochydore beach. This Sunshine Coast accommodation is a 12 storey self contained apartment complex, ideally positioned with fantastic views of the coastline from Mooloolaba to Coolum or the picturesque hinterland. The Beachfront Towers complex features a large outdoor heated swimming pool, sauna, Italian restaurant, bbq near the pool and a popular bbq area on the rooftop. BreakFree Alexandra Beach is a modern, imaginative and fun apartment hotel with an excellent standard of holiday accommodation and a great location opposite one of the very best beaches of the Sunshine Coast. The resort is built in a loop around a 150 metre pool complex which includes small sandy 'beaches' and tropical gardens where guests can hide away and relax. Breakfree Grand Pacific is a superbly located waterfront resort on Bulcock Beach Esplanade in Caloundra, only 1 hour north of Brisbane and only minutes from many of the Sunshine Coasts premier outdoor activities. Breakfree Grand Pacific has beautifully appointed 1, 2 and 3 bedroom apartments with private balconies and is ideal for couples or families. Facilities include a heated swimming lagoon and children's pool with two spas, a gymnasium, games room and sauna. Cilento Mooloolaba is a luxurious property centrally located only 100 metres from the beach, and 50 metres to the shops, cafes and restaurants at Mooloolaba, one of Queensland's famed Sunshine Coast beaches. Fully self contained 1 bedroom (with study) and 2 bedroom apartments feature air conditioning, gourmet kitchens, state of the art appliances and large balconies. Take advantage of all the facilities this property has to offer including a lap pool, spa and gymnasium - pure luxury! Coco Bay Resort comprises of 23 townhouses set in tranquil gardens providing a private and tropical oasis just metres from the Noosa River and Pelican Beach. Coco Bay is just a stroll to the Noosaville riverfront precinct of more than 40 restaurants and cafes and only a 4 minute drive to famous Hastings Street. Set amongst beautifully landscaped tropical gardens, Coco Bay townhouses have been designed to provide the ultimate relaxing holiday to as much or as little as you wish. Culgoa Point Beach Resort is perfectly positioned right on the pristine Noosa River amidst 3 acres of tropical landscaped gardens and private sandy beaches and only a short stroll to Hastings Street. This Sunshine Coast accommodation consists of 1, 2 and 3 bedroom self contained apartments and offers fantastic facilities such as an outdoor heated pool, kids wading pool, sauna and spa, tennis court and bbq facilities. 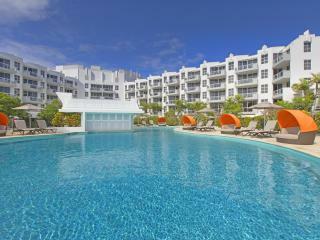 Fairshore Noosa is located right on the beachfront in Noosa, with direct beach access from the resort. Situated in the heart of Hastings Street, this Noosa accommodation offers quality 2 Bedroom beachfront apartments with uninterrupted views of the ocean from the high floors, and direct beach and pool access from the ground floor apartments. Facilities include an outdoor heated swimming pool, wading pool and spa. 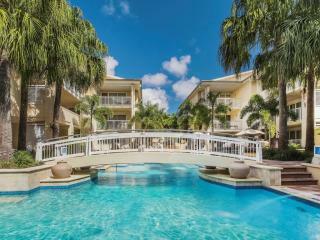 Gemini Resort is an apartment property overlooking the calm waters of Golden Beach on the southern edge of Caloundra. It offers superb views from private balconies on most of its Apartments. This holiday resort is ideal for young families whose children can enjoy the safe, calm waters of Golden Beach or swim in the resort's own children's pool and have fun on the waterslide. Ivory Palms Resort is set amongst acres of sub-tropical gardens, just a short stroll from the Noosa River, parkland, restaurants and cafes of Noosaville. This stylish and modern Noosa accommodation offers self contained one, two and three bedroom accommodation. The excellent facilities at Ivory Palms Resort including 3 swimming pools, 2 tennis courts and a games room make this Noosa accommodation an excellent choice for family holidays and couples. Located amidst vibrant alfresco cafes and commanding a prime position on Mooloolaba beachfront, Landmark Resort offers self-contained holiday accommodation with a choice of air conditioned studios, one, two and three bedroom apartments - all with balconies boasting views of the ocean, hinterland or the pool. Resort facilities include lagoon pool with waterfalls, spa, children's wading pool, rooftop spa & bbq, Swedish style sauna, and much more! Macquarie Lodge is centrally located on Noosa Hill, offering stunning views out to Laguna Bay and over Noosa Sound. Surrounded by tropical gardens, the 1, 2 and 3 bedroom self contained apartments at Macquarie Lodge feature large balconies offering a variety of views overlooking the pool, landscaped gardens or Laguna Bay. Nestled between Hastings Street and Main Beach, Maison Noosa Luxury Beachfront Resort definitely has an enviable position and one that is hard to beat, with views overlooking Laguna Bay, the landscaped gardens or Hastings Street. This luxurious Noosa resort offers guests a choice of 1, 2 and 3 bedroom apartments that feature spacious living areas, full kitchen and laundry facilities and private balconies. Facilities include a heated spa, swimming pool and direct beach access. Hastings Street is just steps away and features a great array of restaurants, boutiques, al fresco cafes and bars. Mantra French Quarter is an apartment hotel offering many guest services and facilities as well as deluxe accommodation. Located just 30 metres from the beach at the south end of Hastings Street, this Noosa accommodation has been designed with a French Pacific flavour. It has 119 1 and 2 bedroom suites, most overlooking the central lagoon pool, with others overlooking Hastings Street. Facilities include a heated lagoon style pool, 2 spas, internet facilities and secure undercover parking. 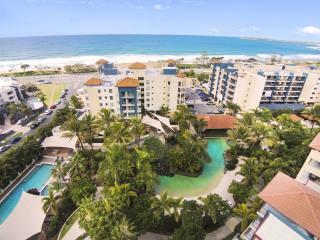 Mantra Mooloolaba Beach is situated in the heart of Mooloolaba's bustling tourist strip, located on the Esplanade overlooking the South Pacific Ocean. This holiday resort offers guests a choice of 1, 2 and 3 Bedroom Suites and Penthouses and a full range of dining and recreational amenities, including a waterfront retail complex featuring boutiques, gift shops, cafes, restaurants and bars. Mantra Zanzibar has a spectacular location on The Esplanade at Mooloolaba with panoramic views of the beach and the ocean. This Mooloolaba accommodation offers guests a choice of 2 and 3 Bedroom apartments, each has been designed to reflect a strong African coastal influence. An array of cafes, restaurants and shops are located directly under Mantra Zanzibar, and there's no shortage of things to do in the area ranging from fishing tours and snorkelling, to beach walks and cruises on the canal. Netanya Noosa offers premier beachfront luxury right in the heart of Noosa, featuring beautifully appointed 1 bedroom apartments and full resort facilities. The absolute beach front resort grounds allow a breathtaking view over Laguna Bay, with easy access to the famous Noosa beach. Enjoy all that Noosa has to offer from this Hastings Street location - shopping, cafes and dining, the beach, Noosa National Park nearby, or a drive to the scenic Sunshine Coast hinterland. Nestled on a secluded hilltop and set amidst landscaped gardens, Noosa Crest leads to a private beach on Noosa Inlet with sweeping views over Noosa Sound to Laguna Bay. It features spacious one, two and three-bedroom fully self contained air conditioned apartments with modern furnishings and generous living areas. The resort has a boardwalk leading to a private riverside beach and boatshed. Within 5 minutes walk you can be in the heart of Noosa. 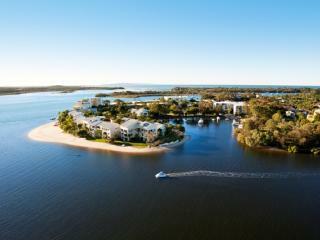 Noosa International Resort offers the perfect location for a weekend escape or extended family holiday on the stunning Sunshine Coast in Queensland. This Noosa accommodation offers a range of spacious 1 and 2 bedroom apartments that feature full kitchen and laundry facilities. 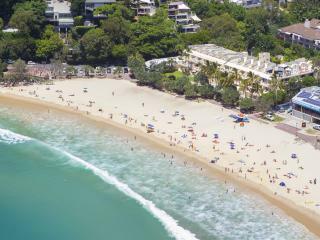 Spend the day lazing by one of the resort swimming pools or head down to the popular Noosa Beach for a dip in the ocean. 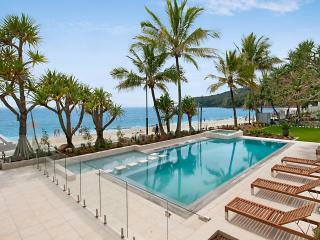 This affordable Noosa resort is perfect for couples, families or small groups looking to escape to the Sunshine Coast. 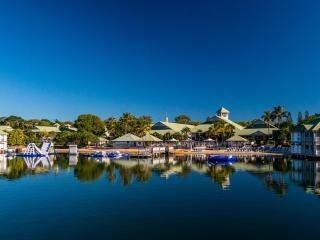 Noosa Lakes Resort, located on the shores of Lake Doonella, offers a relaxing resort environment in the perfect location to enjoy the many leisure activities of Noosa, only 30 minutes from the Sunshine Coast Airport. The Noosa Lakes Resort offers 120 spacious, bright modern studio and one bedroom apartments to suit both couples and families. Noosa Outrigger Beach Resort overlooks the Noosa River at Noosaville, a 5 minute drive from cosmopolitan Hasting Streets at Noosa Heads. This Noosaville accommodation has a fantastic choice of apartments. All apartments are fully self contained with either a balcony or courtyard, and offer guests views of North Shore and Noosa River or the pools and lush gardens of the resort. Novotel Twin Waters Resort is an outstanding resort minutes from the Sunshine Coast Airport. This affordable Sunshine Coast accommodation is beautifully situated around its own lagoon and a short walk from an excellent surf beach. It offers a huge range of activities from watersports to a championship golf course and excellent facilities including a heated pool, clothing and gift boutique, tennis courts and a day spa. Oaks Seaforth Resort is a beachside resort consisting of fully self contained holiday apartments centrally located on Queensland's picturesque Sunshine Coast. Overlooking the Pacific Ocean, the resort is just metres away from Alexandra Headland's patrolled surf beach offering all the ingredients for a perfect holiday. Ocean Breeze Resort offers a fantastic location in in Hastings Street Noosa about a minute's walk to the beach across the road. It offers quality self-contained apartment accommodation in 64 units but has no views. Right on the tourist strip at Noosa, Ocean Breeze Resort has a heated swimming pool, sauna and a half-size tennis court for guests who don't have the energy to cross the street to the beach. Oceans Mooloolaba Beach offers the perfect beachside location for groups, families or couples. 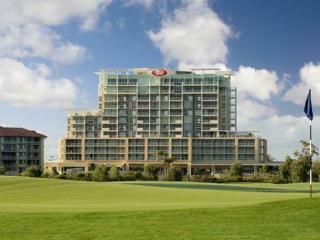 This Sunshine coast accommodation features luxury suites, apartments and penthouses which are spacious and comfortable. The beach, restaurants, shops and cafes are just moments away, Oceans Mooloolaba will be sure to provide a memorable holiday on the Sunshine Coast. Peppers Noosa Resort & Villas is the perfect place to see all of what Noosa has to offer. This Noosa accommodation consists of one and two bedroom luxury suites and villas with either partial ocean views or rainforest views. Relax and unwind at the hotel Day Spa or enjoy a fine dining experience at View on Little Hastings, on site restaurant. The hotel is just a short walk to an array of cafes, bars, boutiques and restaurants and 500 metre walk to Laguna Bay. The RACV Noosa Resort is perfectly positioned on the beautiful Sunshine Coast amongst The Noosa Sanctuary Conserve Reserve and just 3 minutes drive from Noosa's iconic Hastings Street. The magnificent resort facilities at this Sunshine Coast accommodation include lagoon pools, day spa, restaurant and cocktail bar. The self contained apartments are luxurious and offer views of either the freshwater lagoon, national park sanctuary or face within the resort. Great for spending time with friends or a romantic getaway. Ramada By Wyndham Marcoola Beach is situated right in the heart of the Sunshine Coast, offering the perfect base to explore the Coast's many attractions. The beachfront property has breathtaking views from most apartments. The resort features many facilities including a gym and sauna, restaurant and bar and lagoon style pool, but best of all it's only 75 metres to beautiful Marcoola Beach! Ramada Resort Golden Beach offers a great location and is set along Pumicestone Passage in Caloundra. This Sunshine Coast accommodation features Studios, One & Two Bedroom apartments which are ideal for families or couples. The apartments offer full kitchen facilities with corner spa baths and private balconies with spectacular views. Facilities include heated lagoon swimming pool, outdoor spa, tennis court, a fully licensed Thai restaurant, gymnasium, steam room and BBQ area. Sandcastles Noosa is located on Hastings Street in Noosa Heads on the Sunshine Coast, just over an hours drive from Brisbane. 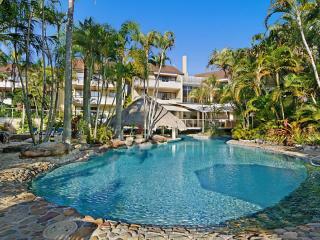 This Noosa accommodation is spread over 3 levels and offers guests a choice of 1 & 2 Bedroom self contained apartments. Right outside your door is Main Beach, where you can swim safely with the children in the calm water or relax by the pool and enjoy a barbecue with family and friends. Enjoy a stroll along Hastings Street where you can shop in boutique stores, or relax with a drink at one of the cafes, bars and restaurants. Located in the heart of Mooloolaba on First Avenue, SeaMark on First is just metres from the beach, and Mooloolaba's Esplanade with its variety of cafes, restaurants and shops. The Resort features lush tropical landscaping and recreational areas, featuring a salt water lap pool and well equipped gymnasium. Tastefully decorated and spacious, the apartments feature quality fittings, fittings and appliances, with a 'seaside lifestyle' inspired interior design. Seachange Coolum Beach is ideally located with the sights and sounds of Coolum Beach at the front door and a choice of restaurants, cafes, Coolum Surf Club and shops only a 400 metre walk. All luxury apartments feature spacious balconies with ocean views on the upper floors and an option to upgrade to apartments with their own private rooftop spa. 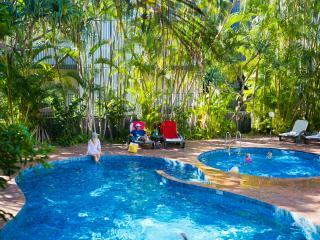 Resort facilities include a 25 metre lap pool, heated plunge and spa pool and a games room for the kids. Perfectly positioned in the heart of Noosa, Sofitel Noosa Pacific Resort is ideally located to take in the best of Noosa's famous beaches, waterways and restaurants. The lavish rooms are only the start of your sumptuous surroundings, including a fitness centre, huge pool, sauna, creche, two restaurants and much more. The resort enjoys a perfect location, with the Noosa River on one side, Hastings Street on the other, and stylish boutiques, galleries and al fresco cafes just steps away. South Pacific Resort & Spa offers full self contained 'bungalow style' apartments, featuring timbered floors and shutters, generous covered verandas and furnishings that capture the vibrant colours of the South Seas. Set in delightful tropical gardens with first class facilities including four lagoon style pools, three spa, sauna, full size tennis court, conference facilities and on site Noosa Health Spa. Spicers Clovelly Estate is a unique Sunshine Coast Hinterland property set over 22 acres of lush gardens. The main house is set hidden away on a hill and offers stunning country views. From the moment you drive through the gates, you know you've arrived somewhere truly special, the Estate features 10 luxury suites and are ideal for a weekend getaway to relax and enjoy the countryside. Spicers Tamarind is located in the Sunshine Coast Hinterland just 3 kilometers from the town of Maleny. The property is positioned in the rainforest close to Gardners Falls and is in an ideal location to take a stroll along the beautiful Obi Obi Creek or across the picturesque 18-acre property. Spicers Tamarind is an intimately unique retreat that is ideal for couples where Thai style meets the tranquility of the Australian bush. 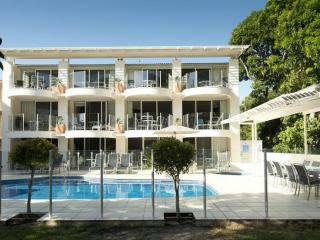 The Beach Retreat Coolum is a resort hotel located directly opposite Coolum's patrolled surf beach. This beachside Sunshine Coast accommodation is built around a central pool and garden, and offers a choice of air-conditioned studio rooms and self-contained apartments. The holiday apartments are cool and airy with resort or ocean views. Facilities include a heated outdoor pool, spas, sauna, large children's wading pool, games room, onsite cafe and BBQ facilities. The Hastings Beach Houses offers guests the privacy of their own beach house villa in a tropical rainforest garden setting right on Noosa's famous Hastings Street. Each villa is fully self-contained with its own kitchen and laundry. The Hastings Beach Houses are tastefully decorated and have a comfortable lounge area and fully equipped modern kitchen. Each villa has an outside deck where guests can relax. North facing in a commanding beachfront position, The Sebel Maroochydore is superbly located in the heart of beautiful Sunshine Coast. Boasting brilliant hinterland, coastal and beach vistas, and directly opposite the stunning Maroochydore beach, the resort is surrounded by great restaurants and cafes, and a selection of excellent shopping. The newly appointed fully equipped four star apartments feature the finest quality designer fit out and furnishings, including smeg appliances, with a contemporary coastal ambience. The Sebel Noosa offers the perfect location in the heart of Noosa, offering luxury and lifestyle. This Noosa resort is surrounded by world class cafes and boutiques, opposite Noosa's Main Beach on one side and overlooking the Noosa River on the other. As you would expect, every apartment at this Sunshine Coast accommodation is luxuriously appointed, and overlooks either the stunning pool area or cleverly designed waterways linking the lush tropical landscaped gardens. The Sebel Pelican Waters Golf Resort & Spa resort & Spa is a fully serviced hotel located opposite the Greg Norman-designed Club Pelican golf course. The Sebel Pelican Waters Golf Resort & Spa offers studios and suites and provides a range of resort facilities including a Health & Day Spa, restaurant and bar and lagoon style swimming pool. The Sebel Twin Waters is a unique beachside retreat, situated opposite Novotel Twin Waters Resort, located between a patrolled surf beach and a salt water lagoon. All of the resort facilities of the Novotel are also accessible to Sebel guests and are within easy walking distance. This Sunshine Coast accommodation offers guests a choice of self contained apartments. ULTIQA Shearwater Resort has been cleverly designed to make the most of the outstanding views across Kings Beach to Bribie Island and wide open blue of the Pacific Ocean. Every apartment - even on the first floor - has views of the ocean and beachfront. ULTIQA Shearwater Resort offers studios, 1, 2 and 3 bedroom air-conditioned, self contained apartments, an on-site restaurant, spa, gymnasium and swimming pool. Perfectly positioned with the Maroochy River on its doorstep, the Waves Maroochy River offers fantastic river and ocean views in a resort style atmosphere. Only a short stroll to the patrolled surf beach, this Sunshine Coast accommodation consists of 1, 2 and 3 bedroom self contained luxury apartments. All apartments at Waves Maroochy River are stylishly decorated and feature spacious balconies or patios overlooking the river or ocean. Windward Apartments offer spacious self contained 1, 2 and 3 bedroom apartments that are ideally positioned on the Esplanade at Mooloolaba on the beautiful Sunshine Coast. Located directly opposite the magnificent surf beach and an easy stroll to an array of boutiques, cafes, restaurants and bars, Windward Apartments is the perfect place to base yourself and your family on your next Sunshine Coast holiday.